I’m pretty much recovered from the jet lag, so it’s time to blog about my trip back to the States this past week. 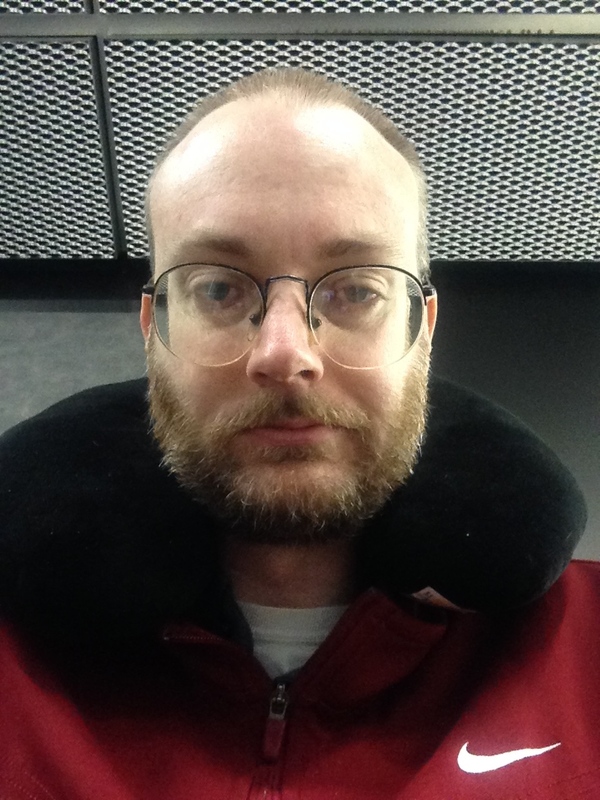 I spent 80 hours in transit, and 120 hours in Cincinnati. Many thanks to my hosts for the week, Tim and Mary G. of our home parish, Trinity REC in Mason. They very graciously kept me warm and fed for the week, and regaled me with conversation, wine, and the good company of old friends. 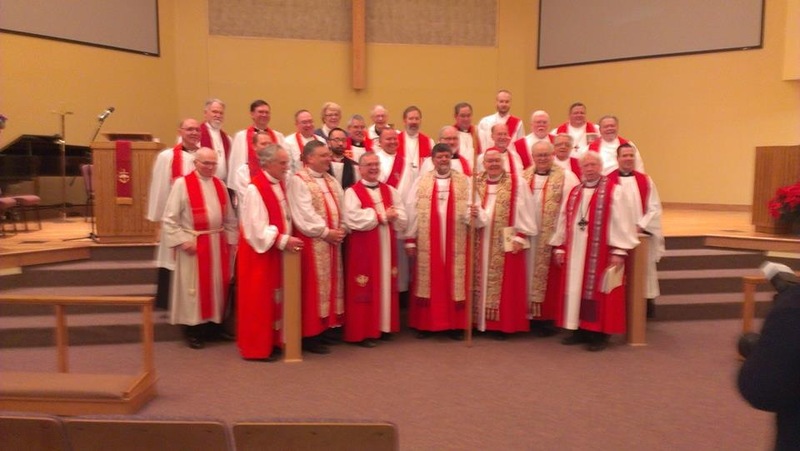 They also hosted my friend and theirs, Mark Butler and his son William, who came up for the consecration on Saturday of our beloved rector, Peter Manto, as the newest bishop in the REC (suffragan in the Diocese of the Central States) – as well as for my own ordination on the next day. Before the consecration, I had a pleasant meeting with Bishop Royal Grote and Canon Bill Jerdan, who represent the REC’s Board of Foreign Missions. We talked about the past year and plans for the future. I am very thankful to have these men in authority over us; they are truly looking out for our best interests and seeking to help us serve the Lord. The consecration service was a beautiful ceremony with no less than 6 bishops, 1 archdeacon, 17 priests, 2 deacons (myself and David T., also of Trinity), and 2 deaconesses in attendance. Fr. Peter – it is only with effort that I drop the label “father” in favor of “bishop”, for he has been a father to me – has helped me with encouragement, forgiveness, wise counsel, and a steady and unwearied presentation of the gospel of Jesus Christ from pulpit and table for the last decade. 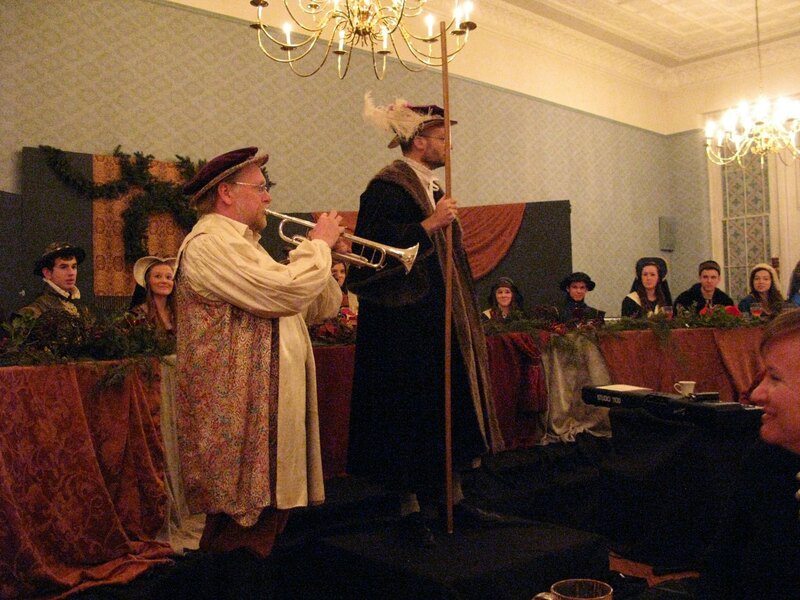 That same day, Saturday, I paid a surprise visit to the Mars Hill Academy Madrigal Dinner. Mr. Butler and Mr. Giese’s son Andy smuggled me into the building of Covenant First Presbyterian, and hid me in a back room until I emerged in full costume as the Lord High Chamberlain, a role I have played in the past. The looks of astonishment on the faces of my former students were priceless. I was especially pleased by the presence of some of the REC clergy through whom God has most blessed our family’s history: Bp. Peter, Dcn. (then shortly, Fr.) Truax, Bp. Morse, Fr. Wayne McNamara, Fr. 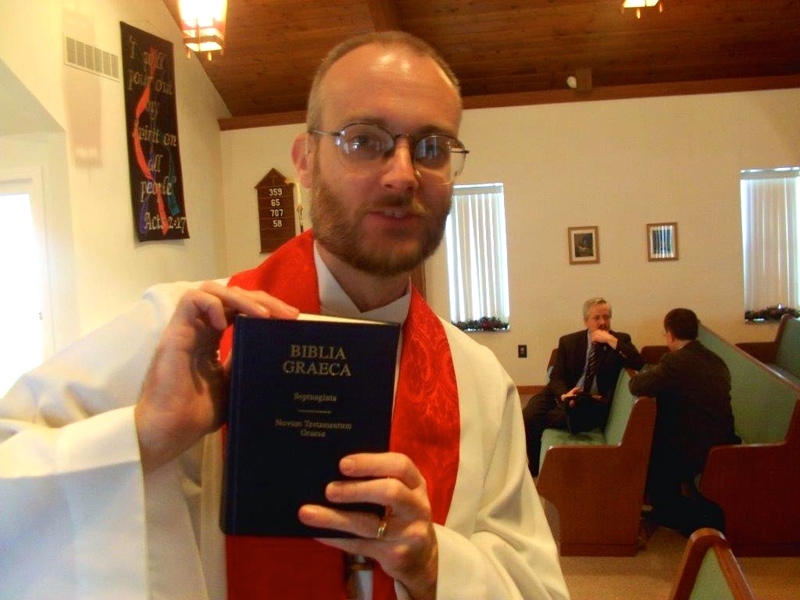 Chris Herman, Fr. Mike Fitzpatrick, and Fr. Franklin Sanders were all present. Some others who had been present at Bp. Peter’s consecration the previous day have also been a great encouragement to me: Fr. Paul Edgerton, Fr. Harry Mathis, and Fr. Charlie Camlin. It was a privilege to have three bishops present: Bp. 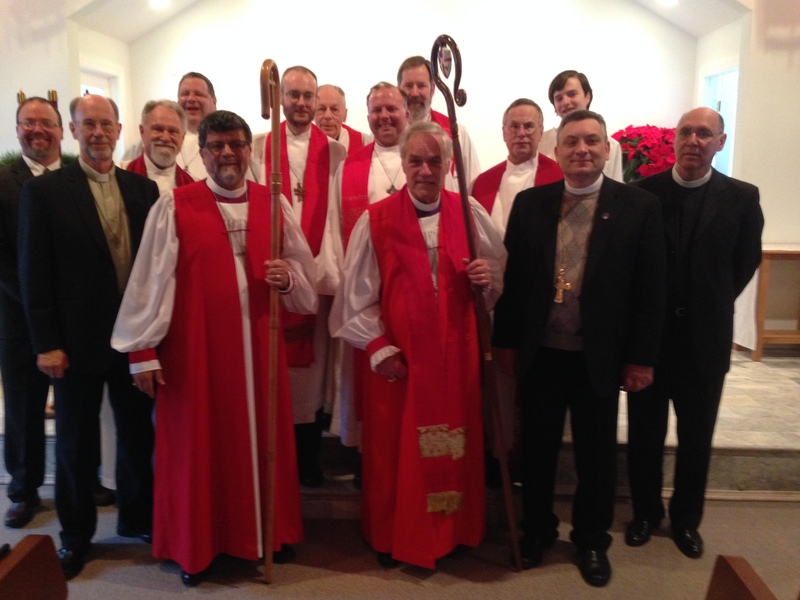 David Hicks of REC-NEMA stayed an extra day and attended the ordination service as well. I had a good trip both there and back again: despite a weather delay in Chicago, and a missed flight in Tokyo (Narita), I ended up in Manila in plenty of time to catch the flight to Davao City. I only regret that I could not stay longer to see more of our friends and supporters. I was halfway expecting to be conquered by homesickness and not want to return to the Philippines, but the effect of seeing all our friends and home church and fellow REC clergy was exactly the opposite: the overwhelming majority of people I knew both on Saturday and on Sunday are actually supporters of our missionary work. So while they are our dearest friends, they are also a visible reminder of the great ministry that has been entrusted to me and Sora here in the Philippines. It is a great honor to represent them as we build relationships with our Filipino brothers and sisters. Below, you see the clerical collar I wore on the 45 hour trip back to Davao. 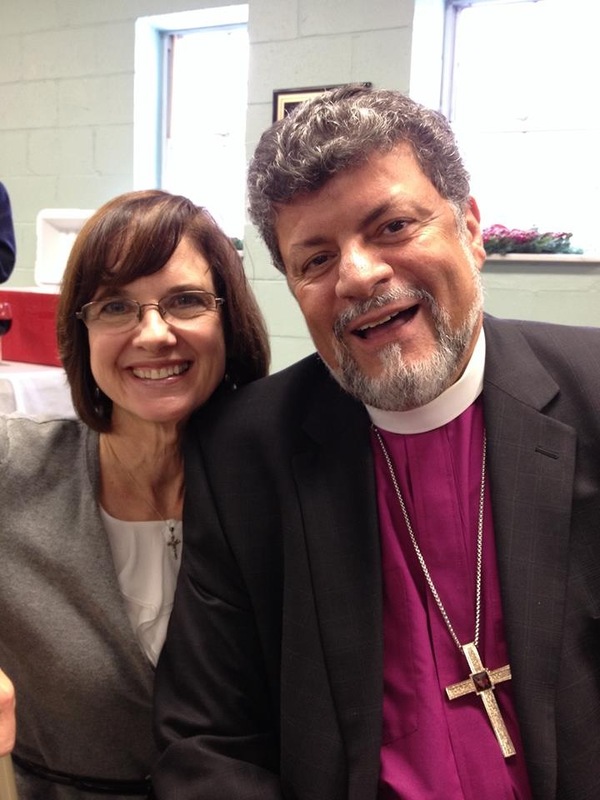 This entry was posted in Uncategorized and tagged bishop, Bishop Peter Manto, ordination, presbyterate, priesthood, REC, Trinity Reformed Episcopal Church.